Presenting the analysis of data to Manawhenua. To give examples of how data can be presented. When I have completed the analysis of data how do I present it to Manawhenua? The purpose of the CFPS is to convey to communities and decision makers the expectations of Manawhenua. Consistent with the philosophy of ki uta ki tai, Manawhenua are likely to have aspirations for specific river reaches throughout a catchment. Therefore, we need to consider how data is to be conveyed at a catchment level and at a site level. Wherever possible photos should be included. Ideally a comparison between the current state of a river reach (or site) and the condition that is aspired to by Manawhenua should be included. Including photographs that highlight specific issues within a river reach is also valuable to communicate with whanau and hapu members who were unable to participate. 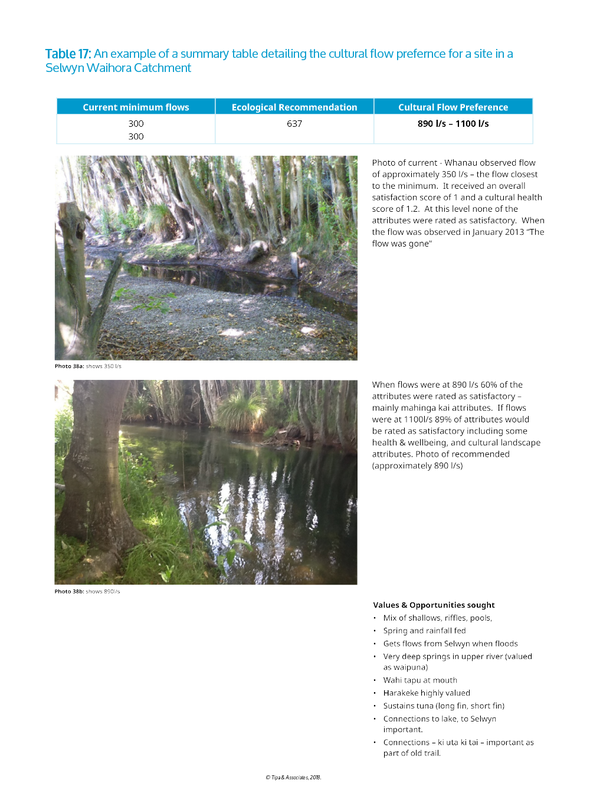 Table 17 shows an example of a summary table and associated photos and cultural flow preference for a site in a Selwyn Waihora Catchment.